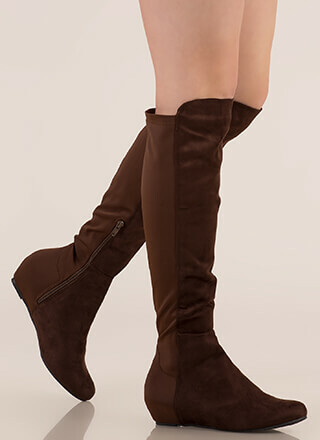 Show off your stems in these leg-lengthening boots! 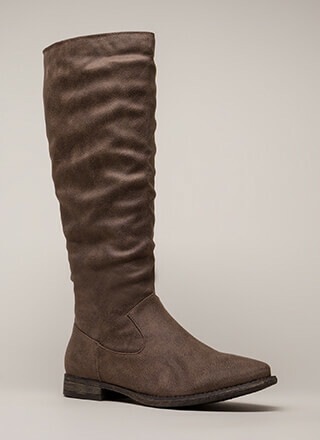 Vegan suede, peep-toe boots feature a fitted over-the-knee shaft with a full-length side zip closure. Finished with a stiletto heel and a ridged sole.